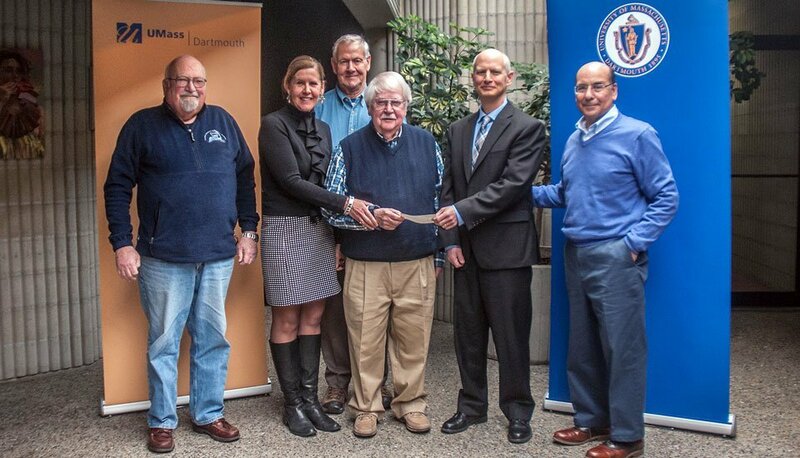 On January 27, 2017 the Barnstable Association for Recreational Shellfishing, Inc (BARS) met with representatives of the University of Massachusetts Dartmouth to present the initial funding of an endowment in BARS name. An initial check of $11,000 was presented to Joe Medina, Vice Chancellor for University Advancement and Lara Stone, Advancement Officer. Representing BARS was Ron Glantz, President; Norm Wilson, President Emeritus; Ralph Krau, Scholarship Committee Chairman; and Len DiLorenzo. Also present were Deans of the School for Marine Science & Technology (SMAST), Department Chairmen of Biology, as well as graduate students and researchers. The scholarship fund will contain an initial contribution of $25,000. This amount will begin with $10,000 being deposited into the fund by BARS on January 27, 2017 with five years to fund the remaining amount. 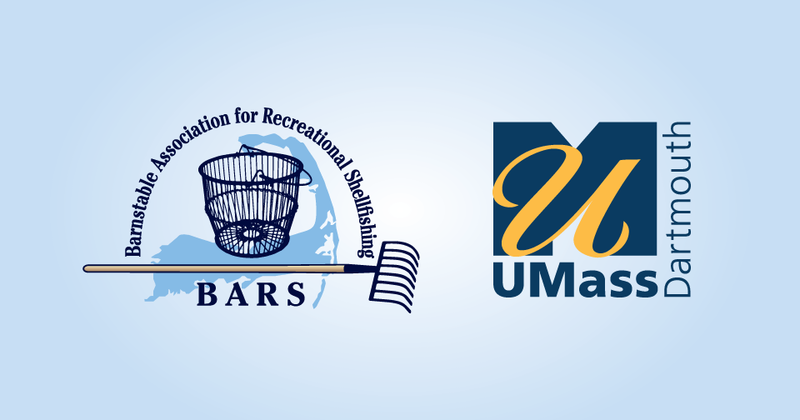 The BARS – UMass Dartmouth Scholarship is in perpetuity. An additional $1000 will be given to fund a student for the 2017–2018 academic year. Additional scholarships of $1000 will be given annually for the next four years beginning with the 2017–2018 academic year. $1000 will be given annually for the next four years through 2021–2022 when the endowment initial contribution will be complete. The selection will take place each spring for the following academic year, based on the recommendation of either the Dean of the College of Arts & Sciences or the School for Marine Science & Technology in alternating years. These awards will go to a student(s) who is a resident of Massachusetts with preference given to Barnstable County residents. The student will be a sophomore, junior, senior, or graduate student and will have a minimum GAP of 3.2. The award will alternate between a Biology major and a SMAST major with the first scholarship awarded to a Biology major. This scholarship is dedicated to the founding members of BARS who saw a need in the town and worked long and hard to fulfill their goals. They were: Kris Clark, Ty Ranta, Fred Dempsey, David Kicilinski, Ed Dutton, James Kinney, and André Sampou.